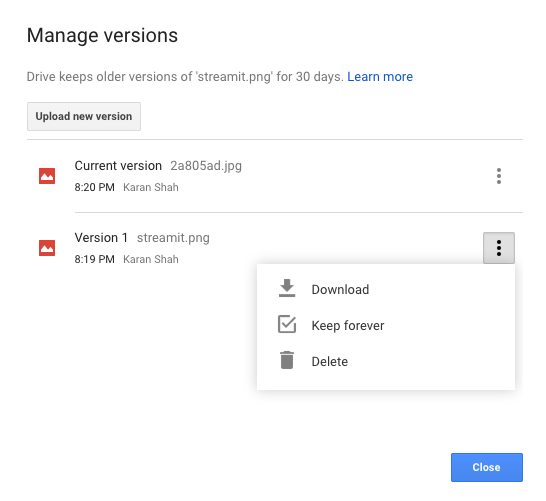 You can download and keep old copies of PDF files, images, and other files stored in Google Drive. Click Download to save a copy to your computer. However, on this file, I am not seeing a "manage versions" option under the three dots menu. As you can see from my answer here, you have to go to the individual file and select the version to download. This will not work for zipped/compressed files. 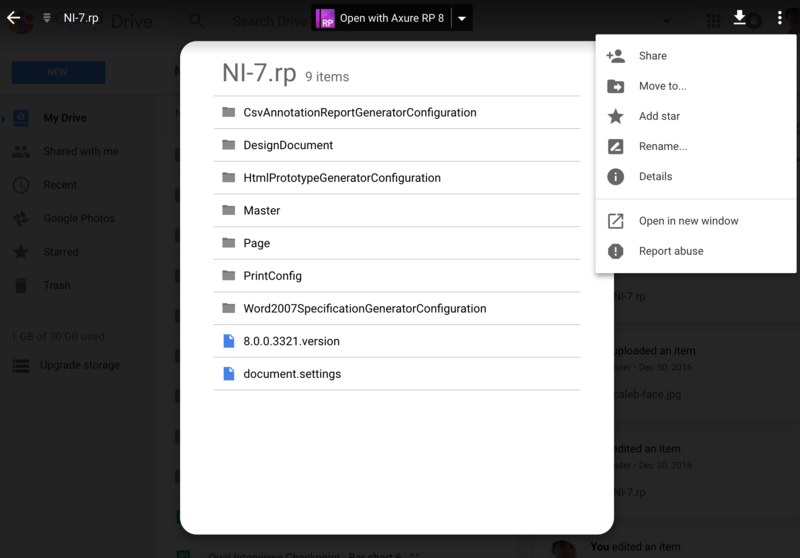 Apparently in Google Drive, one can get to the "manage versions" menu from this file in a list but not from the detail view of the file itself. How can I download a huge folder from Google Drive? How to copy Google Drive file to another Google Drive from a Google Drive link?